Ocean Front Kaanapali Alii /5 min walk to shops and restaurants. The Kaanapali Alii is a privately owned luxury condominium beach resort. It is located on one of the most prominent beaches in the world. 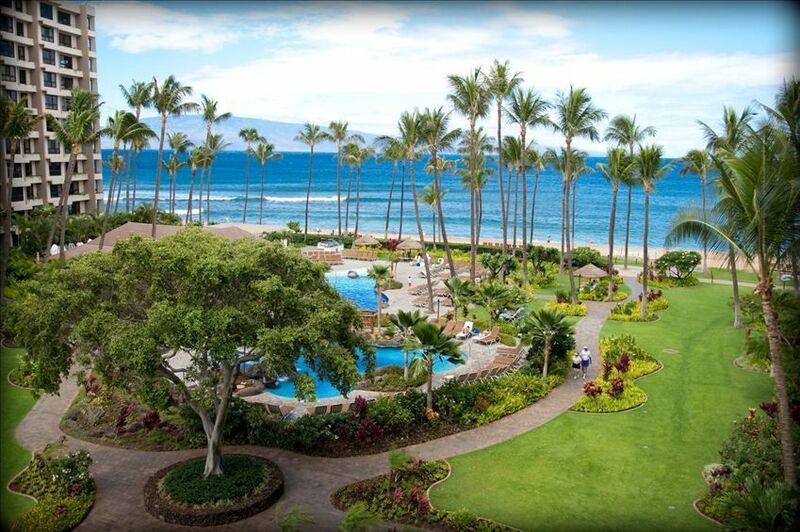 Some of the hotels on the beach are Hyatt Regency, Maui Marriott, Sheraton Maui and the Westin Maui. Unit #133 is located in building number one (North Wing). The unit is on the 3rd floor with a partial ocean view. The beach is a very short walk. The unit was large and nice, great lanai to sit out on in the morning and hear the birds. Beds were comfortable (though squeaky), kitchen has everything you could need. The complex is very nice, well maintained, great pool, lots of chairs (decent amount with shade as well), clean outdoor grills, and great beach. They will even set up chairs and umbrellas for you on the beach! Complex is right on the best area of Ka’anapali beach with Whaler’s Village right around the corner, which was great to be able to walk to for dinner and drinks. We would definitely stay here again! This place was great and the location couldn’t be any better. This is a great property very well taken care of right on the beach nestled in between some of the best resorts. You get the best of both worlds here. The condo it's self is beautifully appointed and well equipped. Our family of 5 had a great time with plenty of room. One warning the bed frame in the third room is over sized and you will crack your shin if you are not careful. Loved the location and the property. Great condo. Has everything you may need! Except for the wind and rain, everything was perfect! Very comfortable for our family of five plus a baby. Even though the view is toward the Westin it still is a beautiful true ocean view. Communication with Freida was easy. Would definitely book again if available. The Alii is a very nice resort in a fantastic location. The condo was okay, but a little weather beaten. The mattresses were not very comfortable and the foam cover didn’t help much. Also, the third bedroom is essentially an alcove with the addition of a slatted door. It is ideal for children but perhaps not adults. I really don’t think I should complain because we did have a great vacation, and to be honest the price does take these shortcomings into consideration.